It's Friday so it's time for The Book Blogger Hop hosted by Coffee Addicted Writer, Book Beginnings on Fridays hosted by Rosce City Reader and, The Friday 56 hosted by Freda's Voice. I'm going to say Lily Ivory from the book I just read - A Haunting is Brewing. Not only is she a born witch so she could cast spells to get us the best candy but she owns a vintage clothing store that sounds amazing so my costume would be fantastic! In real life however I will be trick or treating with a 4 year old Jango Fet. We're all Star Wars all the time around here. 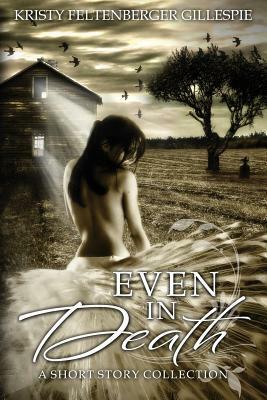 Today's book is a short story collection called Even in Death from Kristy Feltenberger Gillespie. The author contacted me several weeks ago about this collection and another full length book. I've only read the first story but no far I'm really enjoying it. From the story "A Fine Winter Day"
"My twin sister Corinne enters our bedroom clutching five gift boxes overflowing with khaki pants and bulky sweaters." From the story "The Collector"
"That evening, Mom returns this trash to the bookcase in my new room. And I realize as I look around the room, we've been organizing useless junk this entire time. Susie was right, Mom doesn't own collectibles, she owns a landfill." Description: Mel Turner can't say no which is why she finds herself renovating a local Victorian mansion turned museum for free to get it ready for a fundraiser. When one of the volunteers is found dead in the mansion one morning and the eerie life size dolls just won't stay still Mel calls in witch and vintage clothing store owner, Lily Ivory. With Lily's spells and Mel's ability to talk to ghosts they'll have this museum up and running by Halloween and hopefully put some family secrets to rest. Why I Picked This Book: I really enjoyed the Mel Turner book I've read and really wanted to try Blackwell's other series. What better way than in a novella that contains both characters? Pros: This was a really fun paranormal mystery. Mel and Lily are both really likable and work well together. I liked that Mel wasn't sure of the whole witch thing but Lily was okay with it. The Spooner House is delightfully creepy with life size dolls made to look like the family who lived there and don't always stay where they're put. The detective is one who has worked with Mel before and is the right mix of skeptical but willing to go along with it. I read this in one sitting and loved every minute of it. Cons: The same con that could be made for any novella. With the low page numbers it's hard to get much character development. While Mel and Lily could hold their own the college students got a little lost. I had a hard time remembering the names of the ones who weren't important to the plot. Though to be honest I don't really consider this a con - especially with a novella! Overall: With a creepy setting and likable characters this is a seriously fun paranormal cozy read! Would I Read More of this Series/Author? : Definitely! I already knew I enjoyed the Mel Turner series and now I'm looking forward to reading more about Lily Ivory. The three Lockwood sisters have reunited in Cold Creek, Ohio for the youngest sister Tess's wedding. Oldest sister, Kate, an anthropologist, is hoping to get a look at a burial mound belonging to the prehistoric Adena civilization that just happens to be on the best man's land. Grant Mason, the best man, is less enthusiastic about Kate's idea. Is it really because of his grandfather's belief that the dead just be left alone or is he hiding something? After overhearing a few tense conversations and the murder of one of Grant's oldest friends Kate just can't be sure. As they become drawn into the murder investigation and fight their mutual attraction Kate still has to question if she can trust him. Why I Picked This Book: I've been in a romantic suspense mood lately and the addition of prehistoric history intrigued me. Pros: While Kate and Grant didn't fully click for me I liked how their relationship progressed. While they were attracted to each other it wasn't an insta-soul mate kind of thing, When they go through a traumatic event together it brings them closer which made sense. The small town setting was interesting and had enough characters to make it seem real but not so many it was difficult to keep track of. I liked how Kate responded to her estranged father coming to Tess's wedding. She wasn't overjoyed but she wasn't unwilling to reasonable about it. I thought it seemed realistic that she had the hardest time dealing with his presence because she was the oldest and remembered most of what their early childhood had been like (neglected, not abusive). I liked that they talked about why Grant's lumber mill was successful and why his brother's paper mill failed. Cons: Unfortunately, a lot of this book didn't really work for. While Kate and Grant are interesting characters their relationship didn't really connect for me. Kate's obsession with Adena burials didn't interest me after awhile and it seemed to be her primary personality trait. I'd also like to do a little more research of the timber thieves thing. I fully believe that trees are as valuable as talked about but I still found the thieving part of the plot hard to really believe - especially close to a house. I've had trees cut down and it's seriously loud and at the fastest takes a couple of hours. I also found Grant's full blow grief over the tree a little hard to buy. Overall: While I really wanted to love this book it just didn't quite work for me. Part of it may have been the mood I was in because I will fully admit to being somewhat distracted during the time I was reading this. While it wasn't a bad book it wasn't what I'd call a page turner either. Would I Read More of this Series/Author? : Possibly. I like what I saw of Tess and Gabe and wouldn't mind reading their story and I'm curious to know more about Char so I might try their books. Would I Recommend this Book? : I wouldn't NOT recommend it but it's definitely not one I'd say you'd have to read. 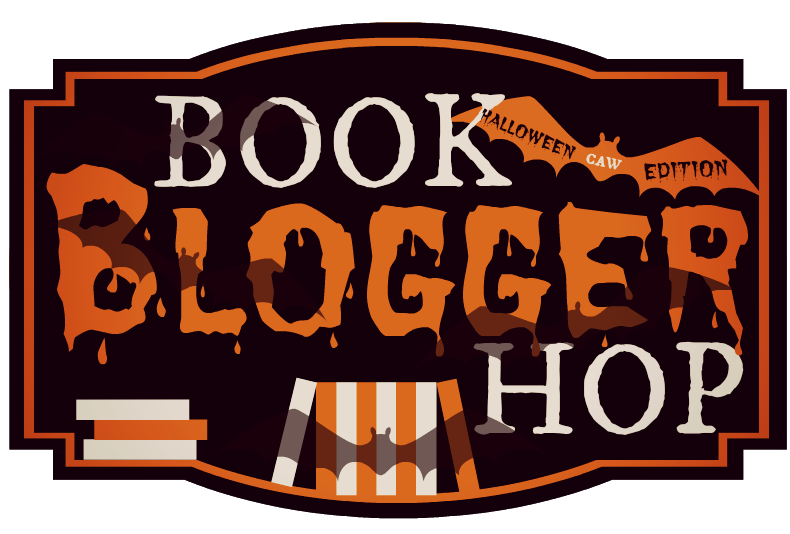 This week's Top Ten Tuesday Topic from The Broke and the Bookish is either the Top Ten Books/Movies to get you in a Halloween mood or Top Ten Characters to Dress Up As. Now since I don't read much fantasy or sci-fi my book characters either dress modern day or 19th century and while I love my characters a hoop skirt for Halloween just isn't happening! So here are the Top Ten Books (and 2 movies) I'll be reaching for to get me all nice and spooky feeling! This is a subtly creepy book. If you go in expecting a horror story I think you'll be disappointed but it's definitely got some eerie creepiness. Listen to the audio if you get a chance! I haven't actually read this book but J and I saw it in play form. Going in we were thinking how scary can a local theater play be? Answer? Really really scary! This is a somewhat darker trilogy from Roberts' with a really creepy ghost. I love this classic ghost story from Barbara Michaels. It's just spooky enough and I love the history mixed in. You can't have a spooky book list with out mentioning Rebecca. Mrs. Danvers anyone? That scene where the main character runs into Mrs. Danvers in Rebecca's old room gives me goosebumps! I expected some creepiness since this is by the author of Rebecca and this is a story that inspired Hitchcock's movie of the same name. This is seriously creepy though! 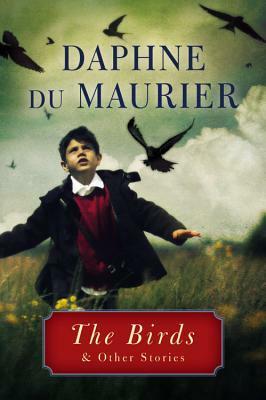 I haven't been quite comfortable seeing a flock of birds since reading this one. Another Barbara Michaels and another ghost story though this features a secluded island in Maine, 2 women yearning for different things and the eerie call of a child in the night. This is definitely a little sillier than the previous books but they're still a lot of fun. MJ and her sidekicks explore some creepy locations and take on an assortment of ghosts. This is on my list of Stephen King books to try when I get up the courage. As for now both movie forms I've seen (the Jack Nicholson movie and a mini-series) have definitely made me look over my shoulder and avoid dark hallways! 10. The Amityville Horror - I actually really enjoyed the newer version with Ryan Reynolds though of course the original is good too. Today was supposed to be a review for The Ripper's Wife but the reading isn't going so well for that one and I'm still a little fuzzy-headed from Friday's oral surgery so instead you get the first four Hercule Poirot books by Agatha Christie. This is quite a group - we have not only Poirot's introduction to the world but Agatha's first book as well, her first short story collection and her first controversial book. In these Poirot becomes the fully fleshed out character with a host of quirks and eccentricities that will continue on for the next 50 years in pretty much every entertainment medium imaginable. 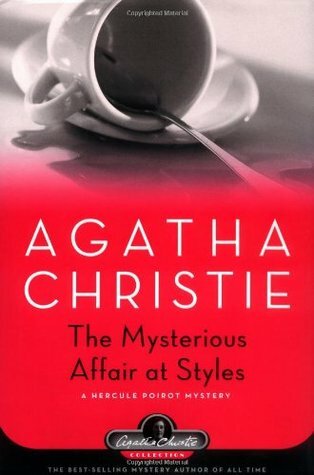 This book begins not with our meeting Poirot but with our meeting Captain Hastings as he is arriving at Styles Court to stay with friends while recovering from a combat related injury. There is quite a large family staying at the house. In addition to Hastings' friend John and his wife Mary, there is John's brother Lawrence, a cousin named Cynthia Murdoch, a kind of gardener/assistant Evelyn Howard, John's step-mother Emily Inglethorpe and her new husband Alfred Inglethorpe. The tension is high as Emily is in charge of the money, everyone hates Alfred, John and Mary's marriage seems to falling apart and an assorted cast of characters are wandering about looking to engage in flirtations. And then Hastings runs into an old friend, the amazing and not so humble detective, Hercule Poirot. When Emily Inglethorpe is murdered in a locked room Hastings calls in Poirot and the local police call in Chief Inspector Japp who we will see quite a bit of over the years. 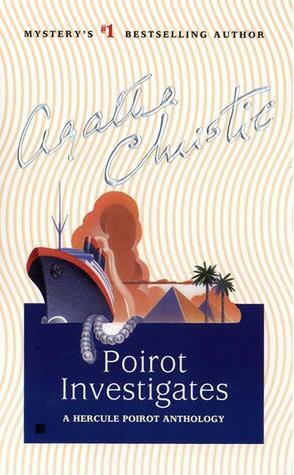 This is a great introduction to Poirot and though it can be a little dry the twists and turns are marvelous and not to be missed! Some time has passed since we last saw Poirot and Hastings. The War is over, Hastings has a job with the government and Poirot is comfortably settled in London and working as a private detective for the elite. When they receive an urgent letter from South American millionaire Paul Renauld they hurry to his home in France only to find the man already dead, killed during what would now be deemed a home invasion. All is not quite as it seems however as Poirot recognizes that something about the whole setup is familiar to him. There seem to be a pretty large cast of characters and it can get a little difficult to remember who is who and how they fit in. While this isn't my favorite we do meet an important character in Hastings life which is pretty fun. The reveal is definitely Agatha worthy as well. I'm not usually a fan of short story collections - especially with a mystery - but Agatha is a master. In these stories you get 14 Poirot mysteries involving everything from figuring out why the rent of a flat was so cheap to solving murders. Some of these are with Hastings and some without and one is the mystery that Poirot considers his greatest failure. If you're trying to figure out if Poirot is a detective you want to read than I'd definitely recommend this collection. The Murder of Roger Ackroyd is Agatha's most controversial novel. When it was published it immediately made her a household name. The Agatha twist was called everything from brilliant to cheating. She vigorously denied the cheating accusation saying the clues are in the book and if you read it carefully you will figure it out. It's definitely a fun one to read both before and after knowing what all happens. In this we see Poirot in the first of many retirements. He has ended up in a little village without his good friend Hastings and is trying to grow perfect vegetable marrows. When 2 upstanding and prominent citizens die close together Poirot is called in to figure out what is going on and sort out the many suspects. As usual I'm very excited about the books I got this week! I'm at least mixing up how I'm acquiring books instead of a straight up NetGalley binge so I'm calling it progress! 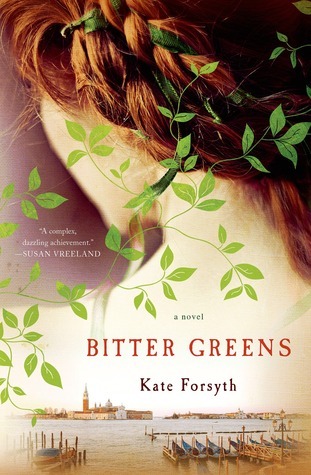 Bitter Greens by Kate Forsyth - I won this retelling of the Rapunzel fairy tale in a giveaway hosted by Teddyree over at The Eclectic Reader. I'm not going to lie - there may have been squealing and a little dancing when I got the email I had won. So excited! The Wanderer and The Newcomer by Robyn Carr - Kristen over at Always with a Book took pity on me about never having read any Robyn Carr and sent the first 2 in the Thunder Cove series. So excited! Reading: The Ripper's Wife by Brandy Purdy though I'm not very far into it and I'm almost done with Agatha's The Murder of Roger Ackroyd. 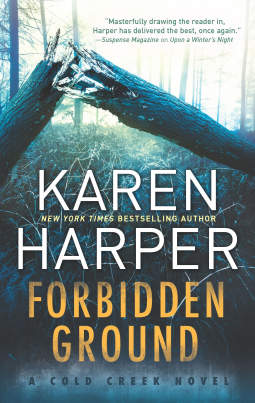 Next up is Mission to Murder from Lyn Cahoon and Forbidden Ground. 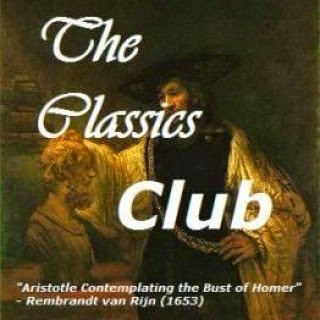 Listening: Nothing - not a thing. I really need to find an audio book and get back in the habit again! Watching: J ended up going out of town this week so my watching habits became much less violent. I'd been watching Criminal Minds on Netflix on my Kindle during the day but after the first night where my brain kept flashing images of a scary guy standing in the dark in a hoodie (they're always in a hood) I switched over to Flea Market Flip which is fun. Emma and I recruited Paul to watch Bachelors in Paradise in all it's epic awfulness and we ended up having a lot of fun with it. They got recorded months ago so we've been joking about everything from the weather warnings to the craziness of the show and all 3 of us have ended up basically crying with laughter. Other than that I've been watching Cutthroat Kitchen and Food Network's new show Hungry Games which is really interesting. It's kind of similar to Good Eats but without the recipes. I am looking forward to getting caught up on my scary stuff and Doctor Who. I'm SO behind on Doctor Who somehow and there's an Agatha Christie-ish episode that I still haven't watched! They're on the Orient Express. Why I haven't watched it yet is beyond me. Ever had a week where you just don't feel prepared? That was this week. J ended up going out of town at kind of the last minute and oral surgery got moved from this coming week to this past Friday. Throw in a heavy dose of appointments and stuff to be arranged it just seemed like a lot of running. Add in the older kids' dentist appointment that I completely forgot about! I've never been so grateful that Emma can drive as I was when I saw that reminder card! I ended up having to dash up to school to drop off a note letting them check out so it didn't end up being an issue other than making me feel a little flustered. Well, I did have to deal with the attendance person who makes me crazy. Last time I needed Emma to check out after it was too late just to send a note with her I called and the woman told me I could email but it'd take hours for her to process it so it'd be best to just run a note up. This time I run a note up and she gets huffy and tells me I could just email it. AAGH!! The Tornado has outgrown all his pants and I ended finding jeans in the boys department instead of the baby/toddler section. It made me want to cry a little! The good thing is that if he's officially in the boys section it will be a lot easier to find clothes for him. The 2 sad racks of boys clothes in the baby sections of most stores can make things challenging. He's gotten into challenging questions lately. On a 10 minute drive this week he asked me - How do babies get in mommies' bellies? Is God real or pretend? and What makes something alive? This week looks like it's going to be much calmer. Surgery done, Halloween stuff purchased, no more appointments. All I have to do is survive the Tornado's questions! Monday: Deadly Tasting- a review for a murder mystery featuring a wine expert! I'm going to do this review more like a cookbook review because it's a book of photos. There's no real written content, no plot and really you either like the topic or you don't. 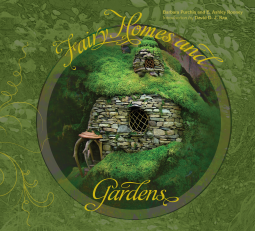 If you're not a Fairy Garden person there's nothing I can say that will make you interested in this book (unless maybe how to get a fairy to give you gold or something). That being said - I loved this book. I love miniatures and have been wanting to make my own fairy garden since seeing some on Pinterest. So, when I saw this book come up on NetGalley I couldn't hit request fast enough. One thing I want to be very clear on is that this is not a How-To book. There are no laid out projects or how to turn something into something else in step by form There's really not any suggestions for a regular reader in the book itself. There are, however, pictures. Tons of pictures. Glorious pictures. There are pictures of beautiful detailed fairy gardens in tree stumps, flower pots, bird cages, chairs, and anything else you can think of. There is a little caption about each paragraph - who made it, where it is, and sometimes details about the materials used. While there is no instructions there is tons of inspiration. With all the looks and materials used there is going to be something that works for you. My only complaint is that my eARC was in PDF form. This is a book that should be read in print form. I'm looking forward to getting a copy and paging through all the wonderful photographs. You accidentally released ghouls from a novel and they are now running amok. Which fictional hero (book or film) would you like to help you defeat the ghouls? I haven't read many ghoul catching books other than Victoria Laurie's Ghost Hunter series and while Heath is not bad I think I'd rather hang out with the ghouls than deal with Gilley. So, I think I"m going to go a little out of the box and pick Ty Garrison from Jill Shalvis's Lucky Harbor series book Lucky in Love. He has some crazy military training and I'm thinking he'd be quick on his feet and good in a crisis. Any ideas for some ghoul hunting books I need to read? 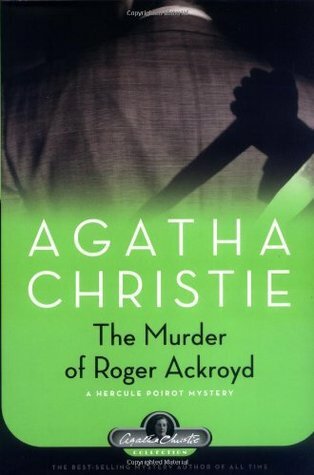 This week's book is The Murder of Roger Ackroyd by Agatha Christie (I know you're shocked). While until this point Christie had enjoyed moderate success, it was this book that made her famous. This was the book that got everyone's attention. Some people accused her of cheating, some people called her brilliant but everyone read it. Mrs. Ferrars died on the night of the 16th - 17th September - a Thursday. I was sent for at eight o'clock on the morning of Friday the 17th. There was nothing to be done. She had been dead for some hours.
" "No suspicious strangers been hanging about anywhere?" "I met a man this evening - just as I was turning out of the gate. He asked me the way to Fernly Park." "
Dr. Zeke Oswald thought he was getting a fresh start with his new job working the night shift in a small city hospital. Until, that is, he stumbles across a dead body in the middle of the night. One of the hospital's nurses has been murdered and soon, beautiful, yet inexperienced detective Selinda Bruchart is looking into Zeke's involvement and his past. Zeke becomes an amateur sleuth and with the help of hospital intern Patience McMorris, sets out to solve the crime and clear his name. Why I Picked This Book: This summer I had been contacted by the author and had done a feature on this book (feature). I really enjoyed the excerpt I read and jumped at the chance to read the book for a full review. Pros: The characters are very well developed. All 3 of the main characters, Selinda, Zeke and Patience, have flaws but they're also developed in such a way that you still root for them. There is a decent amount of medical related details but it never felt unreadable or was confusing. There were a few things about hospital staffing and budgeting that I had never really know before which I found interesting. The mystery itself was very well done. While I had some wild guesses about what was really going on I didn't know for sure until everything unraveled. This says book 1 and I was a little worried about a cliffhanger ending because as I was reading this I wanted to find out what was going on! No worries though, the mystery itself is resolved and I was satisfied with the ending though I do want to find out what happens next. 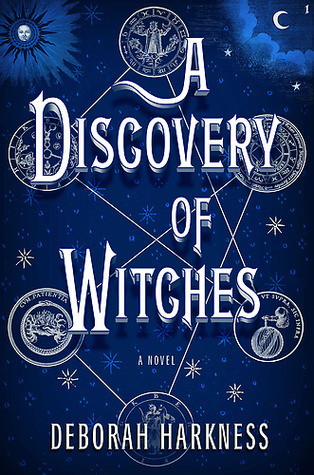 I was expecting a paranormal mystery do to some shelving on GoodReads (which I can't find now. Did I imagine it?) and while Zeke has a secret that could kind of be considered paranormal there isn't really anything other-worldy. I don't want to tell you too much because figuring out what is going on is definitely part of the fun but don't go in expecting serious paranormal. Cons: While I found all the medical details interesting I do think there was were too many explanations. It slowed the pacing on some parts that would've been really page turning. As well, since Patience and Zeke are so well developed Selinda's character seems a little extraneous. While a detective was necessary and having her inexperienced but intelligent helped explain Zeke's involvement knowing so much about her seemed unnecessary and it some cases distracting. In the scenes about her - especially her dealing with her colleagues - I kept wanting to get back to the hospital. Overall: This was a fun medical thriller with an interesting spin. The characters are likable even when you want to shake them (well that mostly applies to Patience) and unusual. While there were a few flaws it definitely didn't effect my enjoyment of the book. Would I Read More of this Series/Author? : Yes, I'll be curious to see where this series goes. Would I Recommend this Book? : Yes, especially if you enjoy medical type thrillers. The Pennywort gardens are famous for being wild and lush with rambling mazes a visitor could get lost in. Olivia Pennywort is the custodian of the garden and has lived her whole life in Green Valley. As she grew up she became more and more unreachable in every sense of the world. Sam Van Winkle is as much of a part of Green Valley as Olivia but the Van Winkles are famous for being heroes. Afraid he was the only Van Winkle who couldn't live up to the name and heart broken over the loss of love he fled Green Valley as a young man only to come back looking to heal. 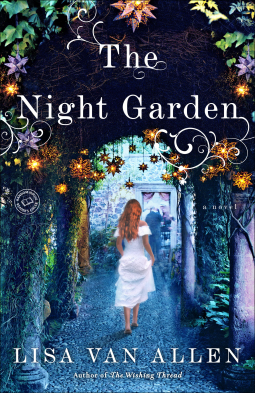 Why I Picked This Book: I loved the cover at first glance and was intrigued by the magical garden. Pros: The writing was beautiful. The descriptions of the garden were lyrical and you could all but smell the flowers and feel the textures of all the plants. The entire town of Green Valley is well fleshed out and the magical elements really work. The characters have a lot of back story and a history together which adds a lot of depth to the developing relationship. Cons; I never really felt like I connected with Olivia. I understand why she is standoffish to those around her but it felt like she was so detached that I never quite connected with her. I'm new to the magical realism aspect and I think I expected a warmer and overall happier book while this has a darker tone. Overall: This was a well written very descriptive book with fleshed out characters. I didn't connect to it as well as I would've liked but I think some of the problem was due to my preconceptions going in. Would I Read More of this Series/Author? : Yes, definitely! Would I Recommend this Book? : I hesitate on this a bit. While I didn't love it I think a lot of my issues were personal and due to expectations going in. Maybe start with her first book? I've heard wonderful things about it. In 1910, no one believed there would ever be a war with Germany. Safe in her affluent middle-class life, the rumours held no significance for Victoria either. It was her father’s decision to enrol her at university that began to change all that. There she befriends the rebellious and outspoken Beryl Whittaker, an emergent suffragette, but it is her love for Gerald Avery, a talented young poet from a neighbouring university that sets the seal on her future. Now virtually destitute, Victoria is reduced to finding work as a common labourer on a run down farm, where she discovers a world of unimaginable ignorance and poverty. It is only her conviction that Gerald will some day return that sustains her through the dark days of hardship and privation as her life becomes a battle of faith against adversity. Now it's no secret that I love a good World War 1 setting and when I saw that this book was inspired by journals and letters from the era I was intrigued. When Robert Bartram contacted me about reading an excerpt I decided to give it a try. I've found that sometimes historical fiction can read as too heavy and too emotionally wrought. Given the heaviness of the topic that was definitely concern going into this. With the first chapter and a teaser excerpt I found that wasn't the case. While this isn't light and funny Victoria is a survivor and she's a fighter. Bartram makes her become fully fleshed out within just a few pages. Her reactions to some questioning felt genuine. I only have one complaint - I didn't get to find out what happened next! 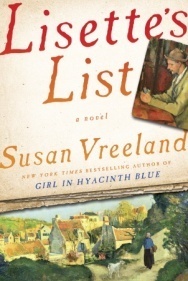 If you have an interest in historical fiction this is definitely one to look for. I know I for one will be looking forward to finding out what happens between Victoria, Gerald and Lieutenant Fairchild. Never one to let the necessity of making a living get in the way of his writing, Robert has continued to write for most of his life whilst holding down a succession of jobs which have included Health Food Shop Manager, Typewriter Mechanic and Taxidermist – Yes, you read that correctly. His passion for the history of the early twentieth century is second only to his love of writing. It was whilst researching in this period that he came across the letters and diaries of some women who had lived through the trauma of the Great War. 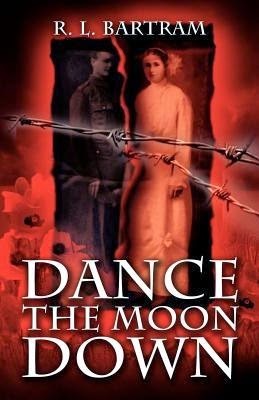 What he read in them inspired him to write his debut novel “Dance The Moon Down” and the rest, as they say, is history. 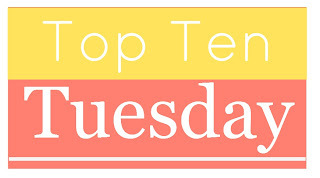 It's time for Top Ten Tuesday! Today's topic from The Broke and the Bookish is Top Ten New Series (from the last year or two) I Want to Start. Now normally it's hard to come up with ten books or authors to fit whatever topic. This week, however, it was hard to cut the list down to ten! Some of these aren't the newest but they're all series that have come to my attention in the last year. 1. The Lunar Chronicles by Marissa Meyer - I'm not much of a steam punk or YA reader but this series has had me dying to give it a try. 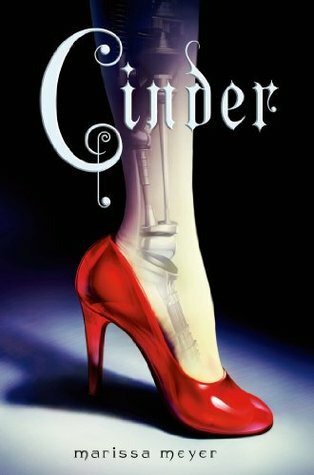 I love the fairy tale retellings mixed in with the steampunk stuff. I'm hoping I'll love it as much as everyone else has! 2. The Bess Crawfuord series by Charles Todd - English, 1920s, the first book is Bess trying to solve a mystery that took place in the past. How can I not be reading this? 3. The Hat Shop series by Jenn McKinlay - While McKinlay's cupcake series is good I absolutely love her Library series. I'm looking forward to giving this new series a try. 4. Consignment Shop series by Duffy Brown - I have a weakness for vintage clothing and really books about clothing in general. 5. American Heiress in London by Laura Lee Guhrke - While not all of Guhrke's books have been homeruns for me And Then He Kissed Her is one of my favorite historical romances. I have the first 2 in this series but have yet to start it. 6. All Souls Trilogy by Deborah Harkness - This is another one that I don't know why I want to read but I really really do! 7. Charles Lenox mysteries by Charles Finch - I have the first one of this series for years and have yet to read it! I read an interview by the author over at Bookwyrm's Hoard and really enjoyed what he had to say. 8. Book Retreat Mysteries by Ellery Adams - It's a book themed inn! It has books, it has murder, it has an inn. How could I resit? 9. Gideon's Cove by Kristin Higgins - I read some of a Kristin Higgins book and while I didn't love the characters I really enjoyed the writing so I'm looking forwarding to trying more from her. 10. Thunder Point by Robyn Carr - Some of my favorite bloggers are basically composing odes to her books and I have yet to read a one. What series has been on any of your TBR for far too long? Description: When a body of an elderly man is found with 12 neatly arranged wine glasses and only one filled wine expert Benjamin Cooker is called in. With the help of the local police and his assistant Virgile, Cooker is on the hunt of a killer who has a connection to Bordeaux's complicated past. As the bodies fall and the wine glasses fill up Cooker is racing against time and a killer. Why I Picked This Book: The premise appealed to me. Also, how could I resist a book that mixes murder and wine? Pro: I was a little worried going in because this is a translation and my luck with those has been decidedly mixed. However, I needn't have worried. The writing style and pacing is smooth and this is a quick entertaining read. There was a slightly formal feel to the book so that it read like a classic mystery which really appealed to me. Benjamin Cooker is an interesting character - he's a well recognized expert in his field and has the ego that goes along with it - so I really appreciated the bit of humor dealing with the cabbage soup diet imposed by his wife. It brought the character down a bit and definitely humanized him. I did see that this was #4 in a long going series. I haven't read any of the previous books but I don't feel like that was a problem. While you do get the sense that this isn't Cooker's first case there isn't any knowledge that you're missing as a reader by starting at this point in the series. Con: While the book felt like a classic mystery the end took a darker turn that surprised me a bit and maybe didn't quite fit. I would've liked to have had a little more setup to what happened. Everything made sense and was fit the story so this is just a minor quibble. Overall: This was an interesting mystery series that I am looking forward to read more of. If you enjoy wine, France and murder mysteries this is not to be missed! Would I Read More of this Series/Author? : Absolutely! Would I Recommend this Book? : Definitely to any mystery lover! It's Sunday! Time to link up with The Caffeinated Book Reviewer for The Sunday Post! A somewhat slow week with only one book from NetGalley! Reading: The Night Garden by Lisa Van Allen, The Bone Room by James Vitarius and The Murder of Roger Ackroyd by Agatha Christie. I'm enjoying all of them though they are very different books. Listening: I've slacked off on audio books lately for some reason. There wasn't time to listen while we were on vacation and I haven't gotten back to working them into my schedule. I was really enjoying The Lost Art of Mixing by Erica Bauermeister and really need to get back to it. Watching: So many shows! I finished CSI:NY on Netflix and have started re-watching Criminal Minds. I'm not sure if I ever watched a lot of these early shows so that's been fun. I've also started watching Stalker which wins the award for show I really should watch while home by myself at night. I really like the show but I don't like how they're making the main guy have stalker tendencies. I like my crime shows without much character drama. Still loving NCIS and NCIS: New Orleans. We've also been enjoying The Middle and Modern Family. The Middle really cracks us up because each of our kids is like one of the kids on the show to the point that even they recognize themselves. It's extremely exaggerated of course but it's very funny. The Tornado has taken to reading lately and it's beyond adorable. The other night I went to check on him and he was sound asleep and surrounded by books and yesterday he was all excited about his bookmark. It's fun to see reading starting to click with him. Not much going on other than that. I've had some allergy issues and have been spending some time at the dentist which hasn't been much fun though I love the new dentist I've started going too. It seems I have a teeny tiny mouth and I have 2 molars that don't fit so it appears that oral surgery is in my future. Not looking forward to it though I don't think it will be a big deal. We went to a pumpkin farm today which was lots of fun. They have all kinds of animals, this big trampoline thing and all kinds of other things for kids to play on. We took a hayride out to pick pumpkins and ended up with 3 pretty good sized ones. The Tornado wants to carve them with a Star Wars theme to go with his costume. He decided he wanted to be Jango Fet from Star Wars and absolutely in love with his costume. I've had to talk him out of sleeping in it 2 nights running. It'll kind of be a miracle if it survives until Halloween. 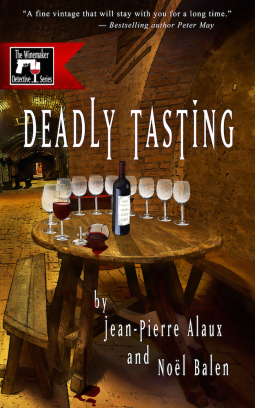 Monday: Review for Deadly Tasting - A murder mystery set in France involving wine! Also, a feature of a wartime historical fiction that looks promising. 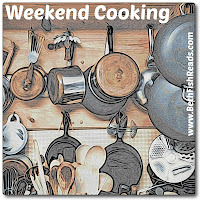 I'm linking up with Beth Fish Reads for Weekend Cooking. I love food and books and so books about food are something I can never pass up! So when I was contacted about reviewing Recipes and Road Stories: Life on the Road with Sisters Hannah and Caroline Melby I jumped on the chance! Hannah and Caroline Melby are sisters who make up the Bluegrass duo HanaLena and have been travelling and cooking since they were in their teens. I liked the layout of the book. For each chapter there are around a dozen short stories and at least that many recipes. The stories are loosely related by timeline and then the recipes relate to the stories. There are recipes for everything from snacks, to desserts, to main dishes and everything else you can think of and the name of the person who contributed the recipe. Some recipes (like Deer Steak and Gravy or Pickled Sausages) didn't grab me but there are others (Fried Oreos, Mama Ruby's Chicken Salad, or Inside Out Chocolate Cake) that I can't wait to try me. I hadn't heard of this group before receiving this book and while I did enjoy the songs on their website - especially Picket Fences - I don't think I enjoyed it as much as I would have if I was already a fan or familiar with bluegrass in general. There are a lot of names mentioned and many of them are probably pretty big names in the industry. However, the story telling was so natural that it didn't feel like name dropping. If you're a fan of this group or enjoy bluegrass music I definitely recommend this one. However, get in the print version. This is a book you want to pick up and flip through! It's time to link up with the Book Blogger Hop hosted by Coffee Addicted Writer, Book Beginnings on Friday hosted by Rose City Reader and the Friday 56 hosted by Freda's Voice. You're going to Halloween party and you're going to take a book along just in case you get bored. What book would you bring? Well since Halloween parties are normally pretty loud I don't think I'll be able to fully focus on my book so I think I'm going to take a book of short ghost stories like Classic Ghost Stories by Charles Dickens, Edgar Allen Poe, Bram Stoker et al or maybe The Canterville Ghosts by Oscar Wilde. That way I don't have a long complicated plot to keep track of it. 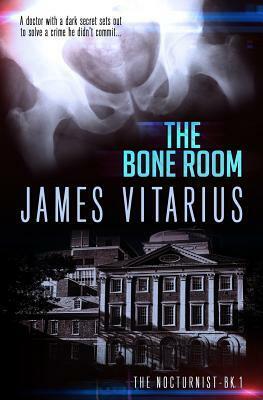 Today's book is The Bone Room by James Vitarius. Now I read the first 2 chapters of this medical paranormal thriller for a feature I did back in July (here). I was thrilled when I had an opportunity to read the whole book and so far I'm really enjoying it. I'm planning on having the review up next Thursday. "Dr. Ezekiel "Zeke" Oswald was sure that the bone was broken." "He had already drunk half a bottle of vodka when the phone call came." So would you keep reading? Description: Dr. Kara Cooney uses her extensive training and background in Egyptology to breath life into little know Pharaoh Hatshepsut. Hatshepsut was one of the very few females to rule as Pharaoh on her own. Not only that but she managed to rule for over 20 years in a time of prosperity in Ancient Egypt. Why I Picked This Book: Since I discovered a National Geographic with pictures of King Tut's tomb when I was a child I've been fascinated by Egyptian history. I had a fabulous history class and an art history class in college that only deepened that fascination. The name Hatshepsut was familiar to me but I knew very little about her. Pros: I liked that Cooney told us front that there just wasn't much to know about Hatshepsut because there's just very few things out there that have survived as well as being limited by the very formal way the Egyptians recorded events. This was before the time of diaries. There are no letters to discover to get a really in-depth look at who she was as a person. 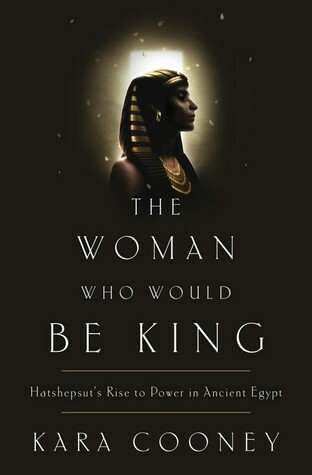 What Cooney does do is give us a detailed look at the structure in which Hatshepsut grew up and came to power. While I feel like I knew quite a bit about Egyptian history this really contained a lot of information regarding the life these people led including religion, health risks, political power and gender roles. There is some conjecture regarding Hatshepsut herself - her opinions, her reasons for action - but Cooney is very clear on what is conjecture and what is fact and also clear on her reasoning. Cons: This didn't read like a fiction story but I didn't find it particularly dry. If this subject isn't particularly interesting or only mildly interesting to you I don't think this will be the book to hook you. I would have liked to have had more pictures or sketches regarding some of the artifacts that were described. Overall: This was a fascinating book about a very little known figure in Egyptian history. The material was presented in a clear manner and should not be missed if this a topic you are interested in. I read this on my Kindle and had no problems with illustrations. Would I Recommend this Book? : Yes though not if you're not fascinated by Egypt already. Description: Samuel Hoenig uses his unique perspective to focus on the logical answers to sometimes illogical questions. When a man in charge of Garden State Cryonics comes in with an unusual question Samuel must focus all of his logical thoughts to figure out what did happen to Rita Masters-Powell's head. 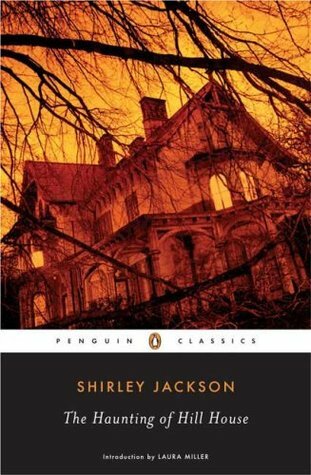 Why I Picked This Book: I have enjoyed the Haunted Guesthouse series written under the E.J. Copperman name and I was intrigued by the Aspergers element. 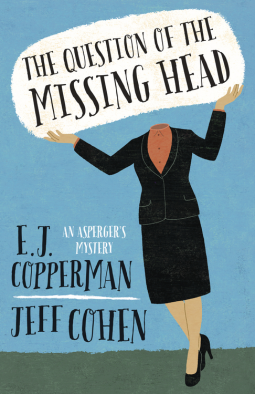 Pro: I wasn't sure what to expect from this mystery as I don't think I've encountered a fiction book where the primary character has Aspergers. What I got was Samuel Hoenig, a very intelligent man who has difficulty with reading people's expressions or understanding illogical responses. I found his ability to analyse his strengths and weaknesses fascinating as well as his ability to make logical conclusions. I found his relationship with his mother really nice. It would've been so easy to make her a hovering overprotective character but she really isn't. Though we only see her through Samuel's eyes she comes off as a strong, practical woman with a sense of humor. At one point when someone asks Samuel while he still lives with his mother he basically tells them it's because he likes her company. We also meet Janet Washborne early in the book and she proves to be a valuable associate for Samuel. She seems to understand his triggers and is able to calm him when something triggers what he calls a "meltdown". They end up being very protective of each other and there felt like their was genuine warmth between the characters. They mystery itself was interesting though the whole cryonics aspect did border on over the top. The way that Hoenig and Washborne were included in the investigation felt natural which I liked. Con: The situation with Washborne's marriage seemed unnecessary unless it's a setup for the 2nd book. The end seemed a little disjointed as most of the book was figuring out what was happening and then suddenly there was a lot of action all at once. Also, since the book was told through Samuel's eyes the plot develops through his eyes which can be very interesting but can be repetitive. Overall: This was an interesting mystery and despite the few flaws I'm looking forward to seeing where the series goes. Cohen has written several books for parents of children with Apsergers and his research shows clearly in the fully fleshed out character of Samuel Hoenig. I'm a little concerned that the mysteries will get more and more absurd but I'm hoping that it doesn't. Would I Read More of this Series/Author? : Yes. I enjoyed this book and the mysteries written under the E.J. Copperman name. Would I Recommend this Book? : If you're looking for an unusual mystery than this is definitely worth picking up. Today's Top Ten Tuesday topic from The Broke and the Bookish is Top Ten Places Books have made me want to visit. I had a hard time getting to 10 as a lot of books I read that have strong place feelings tend to center around the same place! 1. 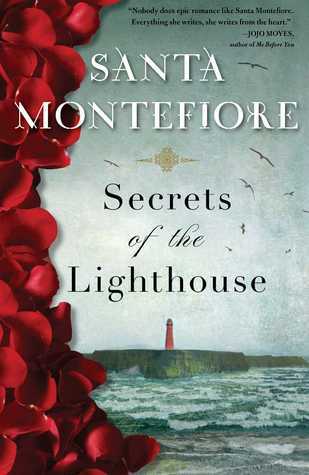 Ireland - I don't know if it's books like Secrets of the Lighthouse and most of Nora Roberts' books that have made me want to go to Ireland or if I wanted to go to Ireland and that made me pick books set in Ireland. Regardless of the order this would be the first plane ticket I'd purchase if I won the lottery. 2. Prince Edward Island - How can any fan of L.M. Montgomery not want to go to Prince Edward Island? Anne of Green Gables is basically a love story to this island. 3. Cornwall, England - Cornwall has been on my short list of places I want to go since I discovered The Shell Seekers by Rosamunde Pilcher when I was a teenager. 4. Bookstores in London - 84 Charing Cross Road by Helene Hanff is the best love story for books I've ever read. It just makes you want to visit and spend hours prowling around the stores that contain the beautiful books mentioned. 5. Provence, France - While Lisette truly considers Paris her home. In Lisette's List we get what amounts to an ode to the French countryside. The mannerisms, the people and the sheer beauty of the countryside makes it an alluring travel destination. 6. Small town just about anywhere - small town settings seem to be all the rage in cozies and contemporary romance right now and I really want to go to a beautiful bustling little town filled with fascinating shops like the ones so often described! Can I please go visit the bookstores in Lorna Barrett's Stoneham, New Hampshire or eat ice cream while shopping at the boutiques in Mariah Stewart's St. Dennis? the landscape of coastal Maine. 8. 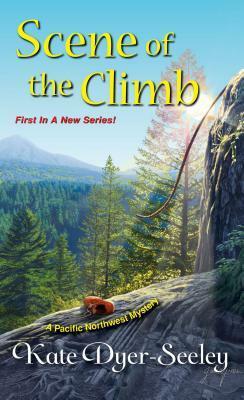 Portland, Oregon - the Pacific Northwest has never been high on my Places to Go list until I read Scene of the Climb by Kate Dyer-Seeley. Her portrayal of Portland, Oregon made it seem damp and cold but also vibrant and intersesting. 9. The Greenway Estate in Devon England - okay so this one wasn't really inspired out of a book unless you count the many biographies and the autobiography of Agatha Christie that I've read. After I buy my plane ticket to Ireland the next place I"m going will be Greenway. 10. Pre-1950s Egypt and Baghdad - these are also from Agatha Christie books. It's hard not to get swept up in the exotic locations that Agatha paints in her portrayals of the Middle East. Not only is she extremely familiar with these places but she loved them dearly as well. I'd love to visit these places to see what she saw even though most are not exactly tourist destinations now. There's my places. Do you armchair travel? Description: Rhys Shepard thought he had left the town of Nugget, California in his dust and was working hard for a promotion at the Houston Police Department. Until, he gets a call that his father isn't doing well. A quick visit home quickly stretches into a longer stay as he ends up with a temporary job as police chief and siblings he didn't know existed. Maddy Breyer is looking for away to start over and turning the old Lumber Baron mansion into a bed and breakfast seems the way to do it. She was expecting unenthusiastic locals and a very attractive police chief. But the town of Nugget has a history of helping people find exactly the kind of healing they need and Rhys and Maddy may end up finding the home they were looking for. Why I Picked This Book: I have a hard time turning down a small town setting and thrown in an old mansion being restored and that's more than I can resist! Pro: The town is a fleshed out town with memorable characters. It's hard not to like Nate, Mariah, Sophie and the rest of the Baker's Dozen. Maddy is intelligent and nice with just enough self doubt and impulsiveness to make her seem real. Rhys has some serious baggage but there are also very clear reasons for it. It's lovely to watch him realize that maybe he fits in this town he's been running from after all. It was fun to watch him begin to connect with Lina and Sam and nice to watch Maddy really decide what direction her life is going to take. I found the Donner Party history interesting and could relate to Maddy's interest in the people that it affected. The history was a nice tidbit but was never overpowering. Cons: There was a lot going on in this book and to get everything wrapped up the end felt a little rushed. Also because we are given so many interesting characters we lose a little connection with the main characters. Overall: This is a fun new romance/fiction series with really unique interesting characters. I'm looking forward to seeing where this series goes. Would I Read More of this Series/Author? : Yes! As I was reading the book I was thinking I wanted to see more of Rhys's friend Clay so I'm thrilled to see that book #2 will be about him. Would I Recommend this Book? : Yes, while it wasn't the most emotionally powerful book I've ever read it was an entertaining new entry into the small town genre. It's Sunday so time to link up with The Caffeinated Reader to talk about what's happening on and off the blog! 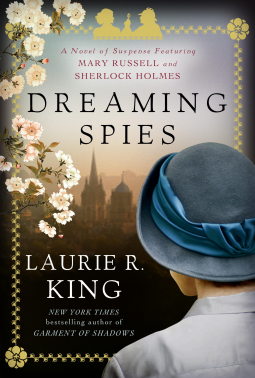 Dreaming Spies by Laurie R. King - This is the most recent in the Mary Russell/Sherlock Holmes series which is one of my favorites. I'm a little behind but this doesn't come out until toward the end of February so hopefully I'll have time to catch up before my review is due. Tim Cratchit's Christmas Carol by Jim Piecuch - Christmas Carol part 2 told through the eyes of Tiny Tim all dressed up. Tagged for Death by Sherry Harris - It's a new cozy mystery series featuring a bargain hunter. Couldn't resist! 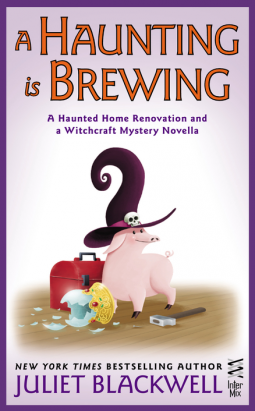 If You've Got It Haunt it by Rose Pressey - Another cozy mystery series this one featuring a vintage clothing store and ghosts. Reading: The Woman Who Would Be King by Kara Cooney and Deadly Tasting Jean-Pierre Alaux and Noel Balen. So far I'm enjoying both very much. Listening: I took a break from listening while we were on vacation so I'm still about halfway through with The Lost Art of Mixing by Erica Bauermeister. Watching: I missed all the shows last week since we were out of town so I'm going to be playing catch up for most of this week. I'm think I'm looking forward to NCIS and NCIS; New Orleans the most. We had a fantastic time on vacation! The weather couldn't have been better. Paul and Emma spent a lot of time exploring and going down to the river. J and I took the Tornado and did a little road exploring and I've now seen more of extremely rural south Mississippi than I ever expected to see. I did get some reading done and am looking forward to getting caught up on my blog visiting to see what everyone else has been up to this week. Paul opening the box that contained his birthday llama. The Alabama blanket is a gift from his girlfriend. The rest of us try and pretend he's not an Alabama fan. Emma on the drive down. I think she got 6 books read in the 4 nights we were there. The Tornado and Duffy - the world's biggest and sweetest dog. He seems to be a Mastiff/St. Bernard/Bloodhound mix. More running. He does that a lot. I have a sweet tooth. Like a crazy hard to satisfy kind of sweet tooth. If I could only eat one type of food for the rest of my life it I would pick dessert with very little hesitation. Based on the cover alone I couldn't pass this book up! And I'm so glad I didn't! 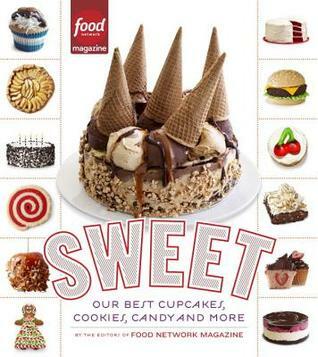 Now cookbooks that center on sweets are sometimes amazing but frequently uninspiring or focus on decorating which is just not in my wheelhouse. While I'd love to make a cupcake look like a puppy or a butterfly my rather limited artistic abilities assure me that that isn't going to happen. So I wasn't sure what to expect when this book arrived but I sat down with an open mind and my handy post it tabs and prepared to do a flip through. Now a couple of weeks ago I reviewed another baking book called Ovenly which featured amazing and unusual baked goods. This isn't that kind of book. While there are some interesting ideas here it's not something that's new and different. Instead there's comforting favorites with the occasional slight twist like Peanut Brittle Chocolate Cupcakes, Chocolate Malt Cupcakes, Strawberry Blondies, Classic Lemon Bars and Boston Cream Pie. There are chapters for cupcakes, for cakes, cookies, candies and frozen treats. As well as one chapter for decorated desserts and another chapter that focuses on holiday treats. There's also a handy frosting guide that shows you the ratios of food color to use to get every color you can possible think of. The book itself is well photographed with a picture for almost all the finished products and several guides and charts. This is definitely a great how to guide for anyone who enjoys baking or wants to learn how to bake. So when it came time to choose a recipe to test I had lots of options. After much debate I went with Whoopie Pies. Now apparently this is a Maine specialty so I can't say I've ever had an official Whoopie Pie so I can't really speak of the accuracy. What I can tell you is this is the most pillow-y soft chocolate cookie you'll ever have with a smear of creamy vanilla frosting in between the layers. They were simply amazing. The instructions were easy to follow and like most of the recipes didn't require any difficult to find ingredient. The cooking time was accurate and my results when follwing the recipe exactly were very tasty. The only problem I had was that I ended up with quite a bit more cookies than the recipe specified and barely had enough frosting to go around. When I make these again (and trust me I will be making these again) I will increase the frosting by abut 50%. If you want to bake, enjoy baking or know someone who does either this is a great book that covers all bases from the simple to the complicated and the plain to the elaborate. I will definitely be reaching for this one next time I want to do some baking. *Received through Blogging for Books in exchange for an honest review. It's Friday so time to participate in Book Blogger Hop with Coffee Addicted Writer, Book Beginnings on Fridays hosted by Rose City Reader, and the Friday 56 hosted by Freda's Voice. What is the scariest book title you have either read or heard about? It isn't necessarily the scariest title but the book that the mere mention of can make me shudder is Stephen King's It. I think it's a combination of vague title, seriously creepy cover and some scenes from the movie that are permanently etched on my brain! 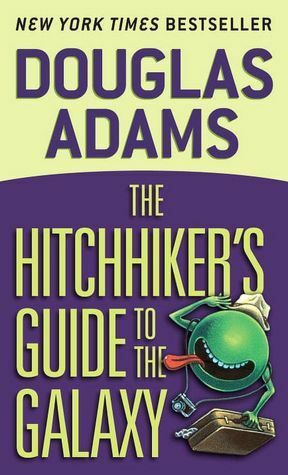 This week's book is The Hitchhiker's Guide to the Galaxy by Douglas Adams. I read this book when I was 11 or 12 and remember really enjoying it. I've also seen the fairly recent movie and an older BBC production where I'm pretty sure the prop budget consisted of whatever spare change the production crew could pull out of their pockets. However, my very first run in with this story comes in computer game form. Back in the 80s we had the PC game version of this book. It had no graphics, only words. To do something you'd type in a command and it would spit text back out at you and you'd go from there. Anyone else remember those types of games? They were great fun though my kids look at me like I'm nuts when I talk about them! "Far out in the uncharted backwaters of the unfashionable end of the Western Spiral arm of the Galaxy lies a small unregarded yellow sun." " The Universe jumped, froze, quivered and splayed out in several unexpected directions. Arthur and Ford opened their eyes and looked about in considerable surprise." So what do you think? Keep reading? I for one love Adams sly and almost serious type of humor!